by Emma Bell. Published on 6 October 2015. Imagine the scene: The year is 1557. Henry VIII’s eldest daughter, Mary, is on the English throne. It’ll be another year before her younger sister, Elizabeth, becomes queen. You’ve published a fair few mathematical texts, and you’re halfway through writing your latest book ‘The Whetstone of Witte‘, the second in a pair of books on Arithmetic (the title was a pun about sharpening your mathematical wits). You’re determined to only use English language in the book but you are getting really frustrated with having to write ‘is equal to’ every time you note down an equation. Then it dawns on you! Why not use a symbol to represent ‘is equal to’? It’ll save time. It’ll save ink. After all, isn’t mathematics all about efficiency? But what symbol to use? It occurs to you: no two things are more equal than two parallel lines, so to ‘avoid the tedious repetition’ of the words ‘is equal to’, you introduce the symbol ‘=’. You have invented the equals sign. We’ve all been there – LOL, BRB, </3 – finding short ways to express yourself to save time and effort. 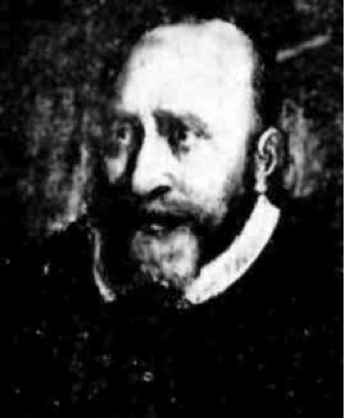 The equals sign was invented as shorthand by Robert Recorde, a Tudor mathematician and doctor who published widely on a variety of topics. He was born in Tenby, Wales in around 1510, and died in Southwark in 1558 whilst in prison for not paying a fine. It is easy to appreciate how useful this new symbol was. Up until Recorde’s notation, the most common way to write ‘equal to’ was to use the Latin ‘aequales’ or ‘aeq’. Recorde was very keen on promoting English vocabulary in an English mathematics textbook. He believed that everyone should be able to access mathematics. The + and – signs had not been used in England previously, and with Recorde’s invention of =, the equations included in his book look like they could have been written this week, not 450 years ago. Robert Recorde was a trailblazer. Memorial plaque to Robert Recorde in Tenby, Wales. However, whilst abbreviations in common use currently spread like wildfire, the spread of Recorde’s equals sign was much more sedate. In 1631, three separate books were published – including Trigonometria, the influential book by Richard Norwood – all using the parallel lines equals sign. Sir Isaac Newton (1642–1727) then picked up on the notation and used it in his works, and so on, until it became the ubiquitous sign that mathematicians now use on more than a daily basis. This was hardly a viral spread with the scale or speed of ‘FTW’ or the hashtag, but the slow and steady acceptance of = as the universal sign of equality is clear to see. Indeed, the Human Rights Campaign unveiled the equals sign as their logo in 1995, and it has become synonymous with the LGBT community’s equal rights movement. Inscribed on a memorial plaque to Recorde in St Mary’s Church, Tenby, is the line ‘invented the sign of equality’, and I am astounded how prophetic this statement turn out to be. In ‘Mathematics’ by David Eugene Smith (1923) Recorde is referred to as the founder of the British School of Mathematics, but I hadn’t heard of him until I embarked on the research for this article. That needs rectifying. 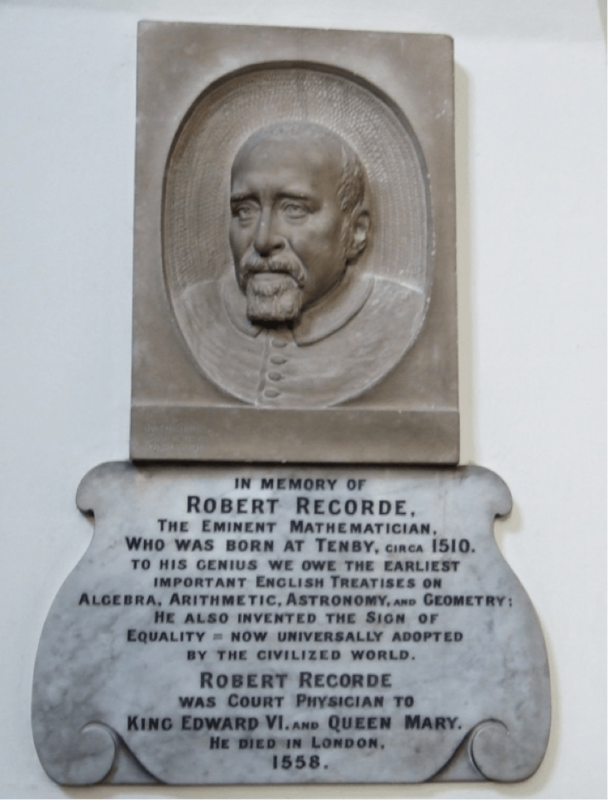 We now know that when it comes to impact and influence on the brevity and efficiency of mathematics, Robert Recorde is without equal. Emma is a teacher from Grimsby, UK.